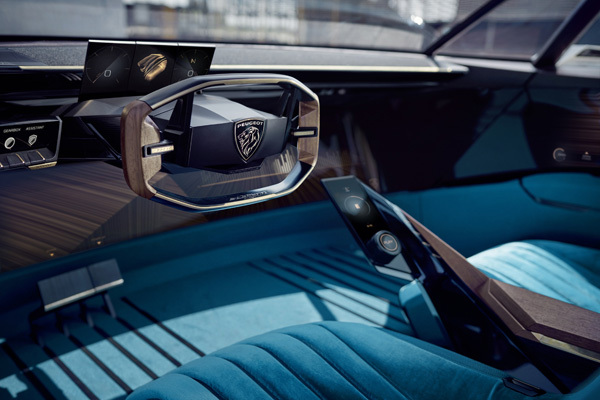 Because boredom is not part of our DNA, because independence does not rhyme with monotony, because the energy transition will not erase 120 years of automobile history, PEUGEOT reveals e-LEGEND CONCEPT. This exciting vision of the future of driving pleasure takes the form of a desirable and iconic vehicle. By adopting a realistic and radically modern template, this projection into the future of the automobile magnifies the genes and the elegance of the heritage of the PEUGEOT brand. PEUGEOT e-LEGEND CONCEPT is presented at the 2018 Paris Motor Show. A major player in every technological revolution, PEUGEOT calmly approaches that of the energy transition with the conviction that technology is always at the service of automotive pleasure. An exciting future is a future that gives you the choice over the silhouette, the type of propulsion or driving. New territories to clear, new challenges to face, the adventure of the PEUGEOT brand continues! 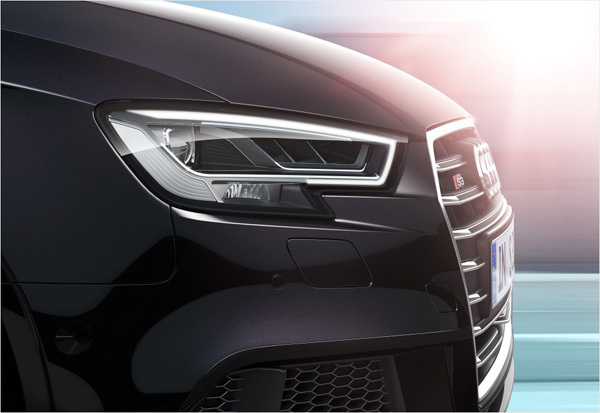 With the promise to include the Requirement, the Look and the Emotion in each of our cars always upheld and renewed. The embodiment of this vision is e-LEGEND CONCEPT! A real object of desire that promotes the freedom of movement and offers the choice between a never-ending choice of pleasures: #UNBORING THE FUTURE. In today’s environment where we are constantly over-stimulated, having time for yourself is probably the most valuable thing. Autonomous driving will help you find that time for yourself and create new experiences to live within your vehicle. Depending on the type of road traffic or the state of mind of the driver, PEUGEOT e-LEGEND CONCEPT offers four modes of driving. • SHARP: accurate and dynamic vehicle typing. Maximum connection to digital activities possible (social networks, schedule, etc…). • the main controls remain accessible via the centre console integrated in the driver’s seat. • The occupants can then enjoy their favourite hobbies: play the integrated video game or watch a film either in the curved central screen or in each screen built into the sun visors. BOOST: dynamic and stimulating driving thanks to the powerful electric motor. 180° immersion with projection of the road on a single large screen. With a view to offering an elegant and luminous interior, the choice of the designers focused on warm materials, counterbalancing the cold digital material: a contract to the frenzied race to all-digital. Velvet is making a comeback! Chosen in the noblest of uses for its silky and pleasant touch, silk velvet is cleverly mixed with a modern technical mesh that offers more freedom in terms of decoration. This weft is woven digitally and especially for PEUGEOT e-LEGEND CONCEPT from a shiny thread reminiscent of the hue of velvet. This material can be found in PEUGEOT 3008 or 5008. 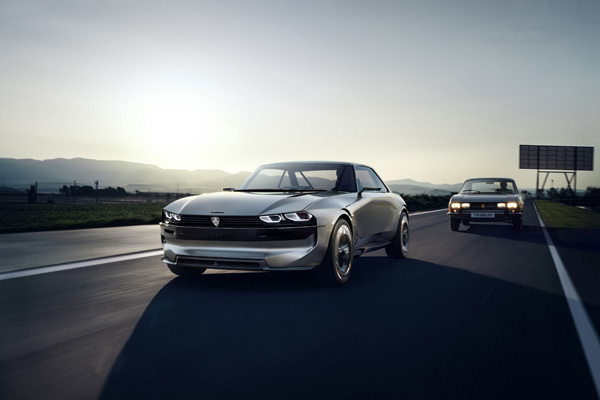 Perfectly incorporated into a realistic vision of the brand’s energy transition, PEUGEOT e-LEGEND CONCEPT is powered by a 100% electric power train. With 100 kWh batteries, the engine reaches 800 Nm torque and 340 Kw power distributed to the four-wheel drive. This level of performance makes it possible to travel 0/100 km/h in less than 4s and reach a maximum speed of 220Km/h. The range is 600 km according to the WLTP protocol of which 500 km are accessible in 25 minutes thanks to a fast recharge. PEUGEOT e-LEGEND CONCEPT cultivates the zero technological constraint mindset by offering induction charging. The new PEUGEOT PARTNER was elected International Van Of The Year 2019 on Wednesday 19 September in Hanover. This award recognizes the PEUGEOT teams’ commitment to a project that is at the heart of the brand’s development strategy. This prestigious trophy has been awarded even before the launch, which is scheduled to take place in a few weeks. 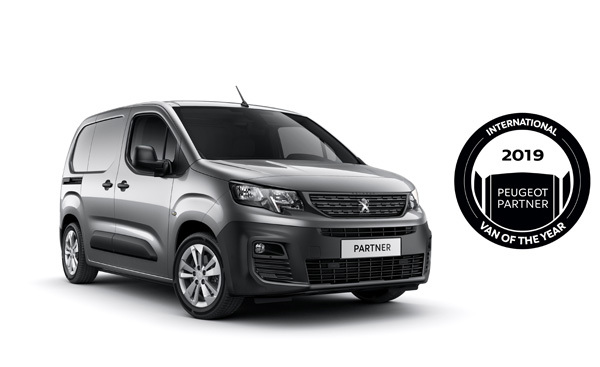 The new PEUGEOT Partner is the fifth PEUGEOT Van of The Year since the trophy was created in 1992. The new PEUGEOT PARTNER has unprecedented dynamic and acoustic qualities, a high technological and safety content, two lengths of bodywork (4.40m and 4.75m), and a wide range of engines and equipment designed to make life easier for its users. Two major innovations attracted attention: the overload indicator for safe charging and the Surround Rear Vision that provides blind-spot camera vision. The PEUGEOT PARTNER stands out through the exclusive and world-first adoption of this segment of the PEUGEOT i-Cockpit®, offering a new driving experience for greater productivity. Every professional will be able to set up their own configuration that will allow them to work effectively, including with the Grip version to meet a need for robust services in all circumstances, or the Asphalt version for those who spend a lot of time in their vehicle. The new PEUGEOT PARTNER strengthens our ambition to undertake to master the impossible. I can’t believe it!!! I’m back in the Singapore for the F1 event. In fact, I went to the inaugural Singapore F1 back in 2008. That’s like 10 years ago. 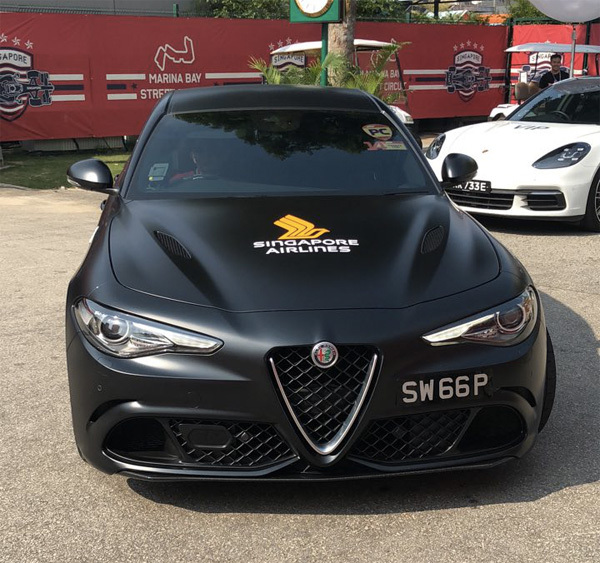 Now I’m so fortunate to be back here in Singapore and thanks to @alfaromeobrunei for sponsoring the trip and it was special indeed. Let me tell you why. 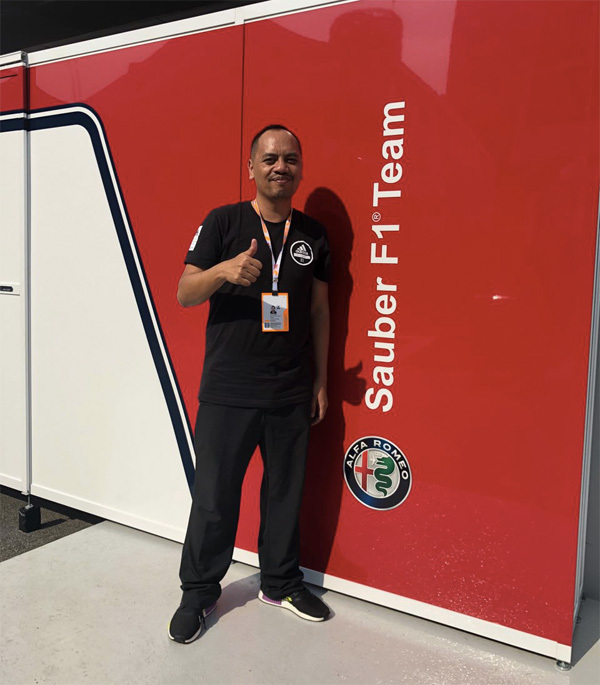 I was given access to enter the paddock of the Sauber team who partners with Alfa Romeo in this season of the F1 Grand Prix. 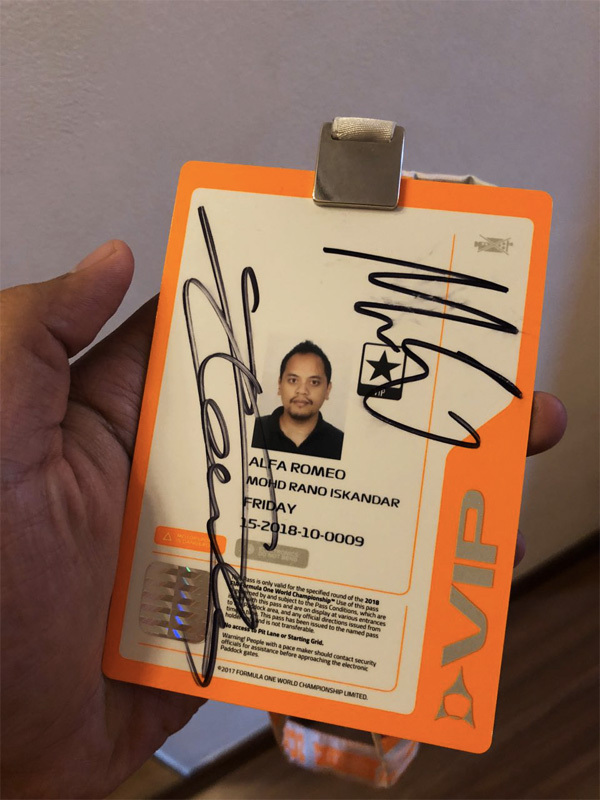 This access is different to that of Paddock Club ticket holders (ranging from BND 1,300 to BND 8,000). 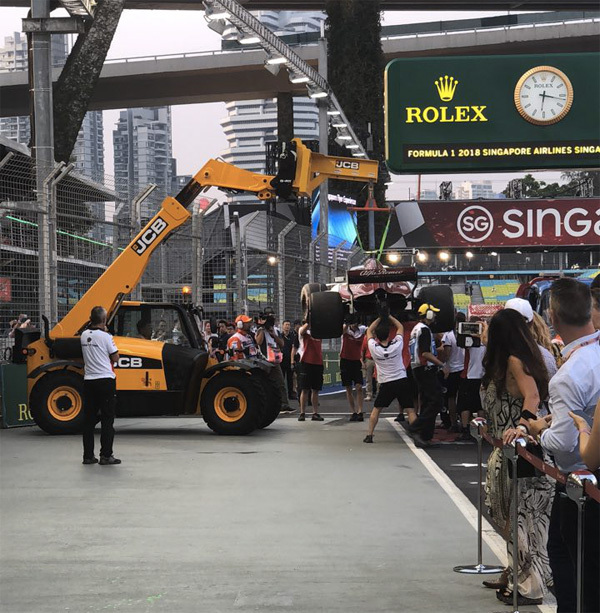 Those paddock holders can allow walk outside the paddock line to view all the constructor cars. They will be given a specific time to tour around and take pictures and videos. 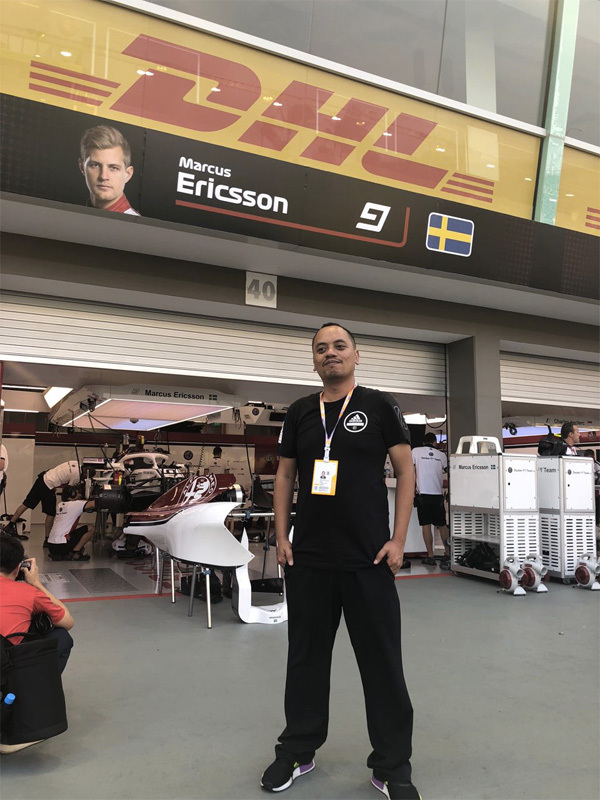 Now for my pass, it’s a special pass where I have the privilege to enter inside the paddock of Sauber and witness the operations of the engineers on how they deal with the car and the driver when he pits the car. 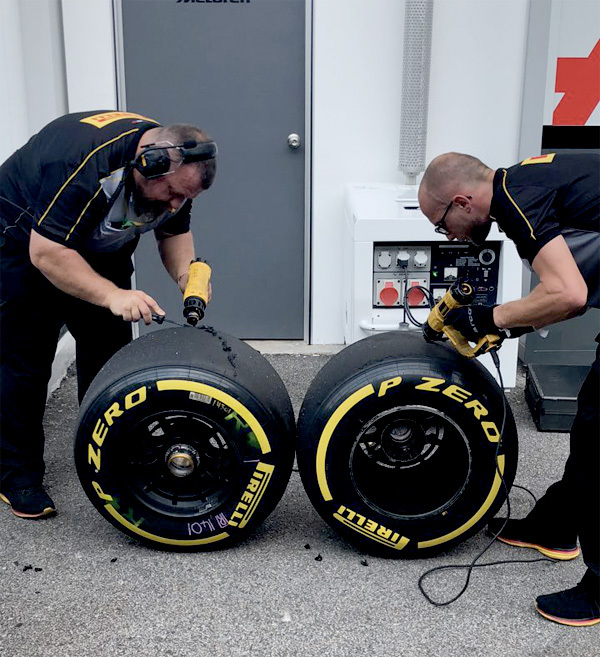 Each driver have their dedicated engineers and support team and I can see why it’s important to be meticulous when it comes to F1 racing. The car and its conditions have to be in perfect, mint condition every time it’s being pitted so the driver can drive to the best of his ability with a highest optimum specs from the car. 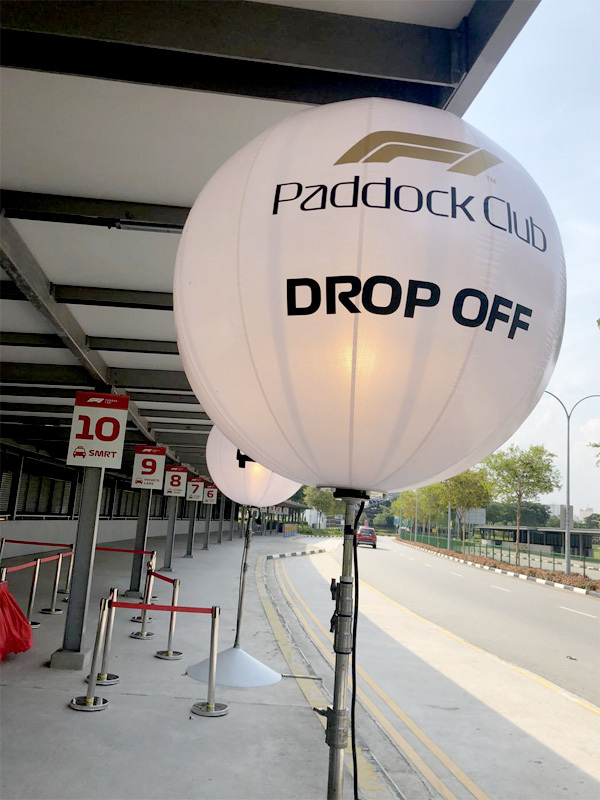 We weren’t allowed to take photos inside the paddock and that is quite understandable. We did have a chance to take videos and photos but only outside the perimeter of the Sauber paddock. 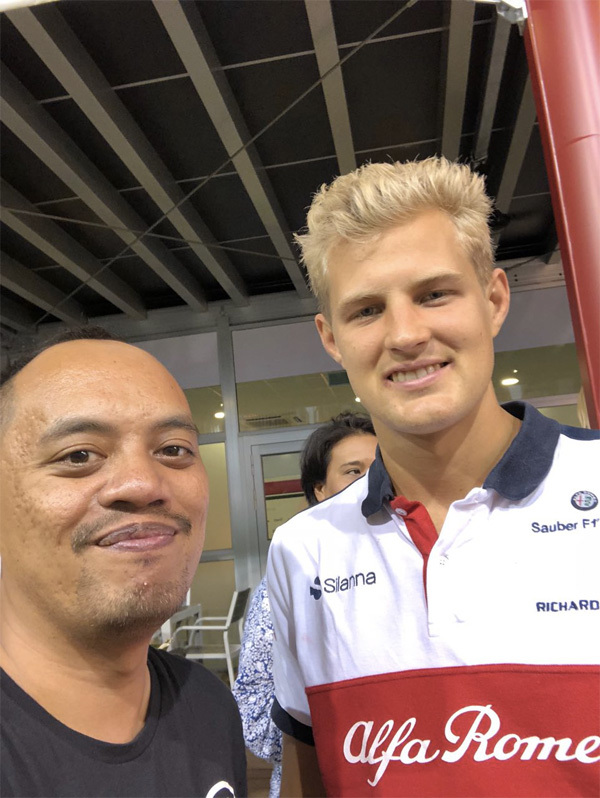 The best part of the Friday tour activity was the 5 minute moments with both drivers of Sauber F1 team – Marcus Ericsson (29) and Charles Leclerc (20) whom will be driving for Ferrari next year. This, for me, was an amazing feeling. 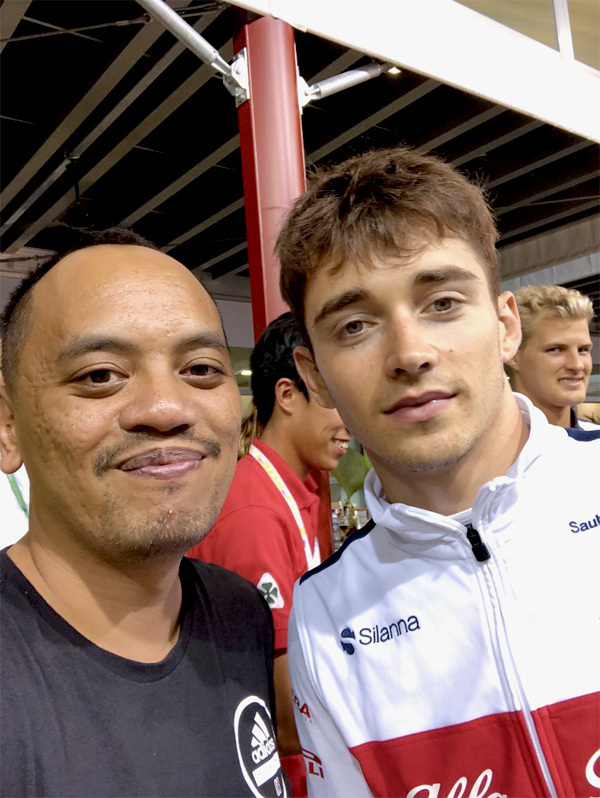 To be up close and personal to an F1 driver is not an easy feat alone. So a huge thanks to @alfaromeobrunei for making this dream come true. I also had the privilege to be driven in the Alfa Romeo Giulia, a 2.9 litre with V6 engine. 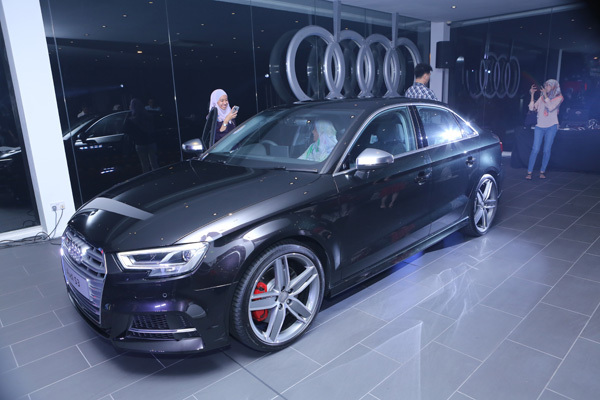 It was launched in Singapore and that car alone costs a hefty BND 380,000. Gulp!!!! That’s Singapore for you. As for Brunei, Alfa Romeo will be making its comeback pretty soon and I shall keep you posted. Thank you once again @alfaromeobrunei for making this memorable trip for me. 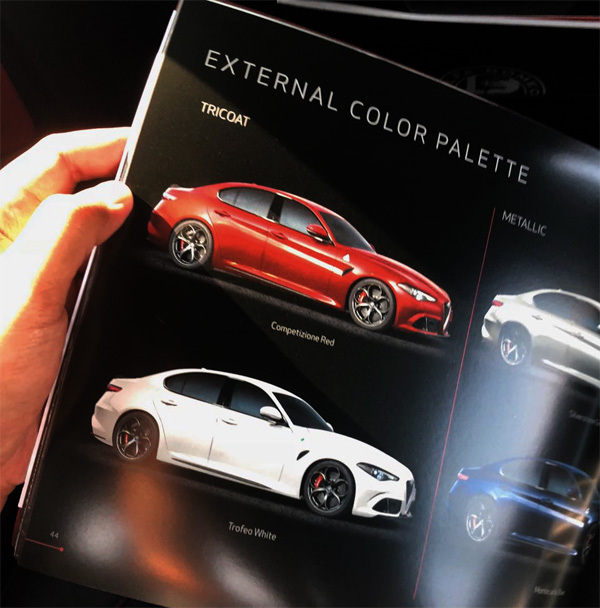 I can’t wait to see a Giulia on a Brunei road. Many of you will be impressed. Trust me. The catalogue. I should have taken one with me. 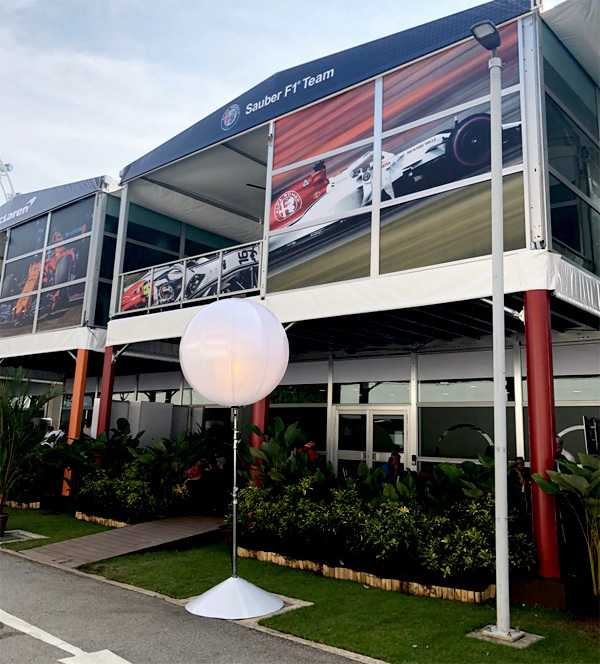 Our hospitality area for the paddock team. 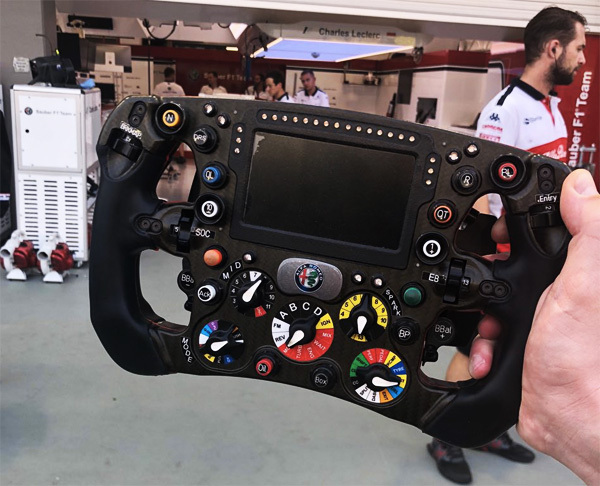 How the steering looks like inside the Sauber car. Buttons galore. Charles didn’t had a good run in the first practice session. His tire hit at turn 13 of the track. 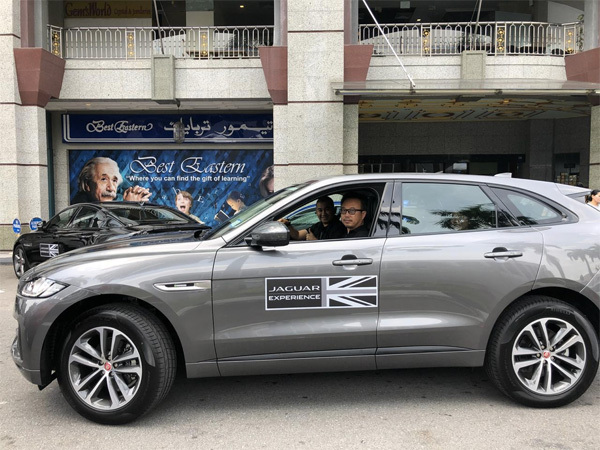 Test drive some of the models of Jaguar. Today is the final day. 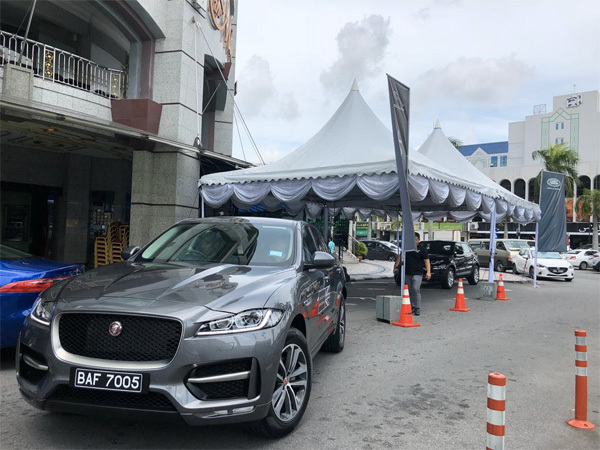 INDERA MOTORS Sdn Bhd the official retailer of Jaguar and Land Rover kicked off the month of September with a Test Drive Event held at the Chill Café, Mall Gadong from 10am to 6pm. The Roadshow starts today until 16th September 2018. 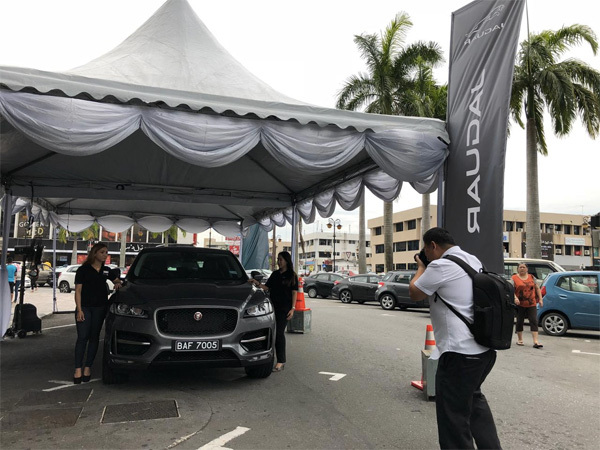 The public can personally test drive and experience the stunning vehicles crafted by Jaguar and Land Rover. Models present are Jaguar F-Pace, Jaguar XE, Jaguar XF, Range Rover Evoque and Discovery Sport. In addition, there will be food and beverages provided by the Chill Cafe. 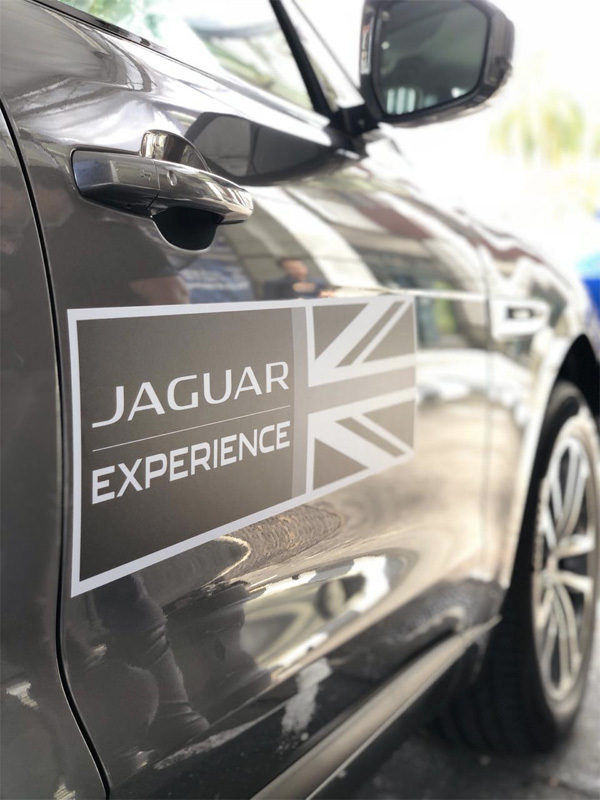 During the event period, members of the public are invited to register and test-drive a selected range of Jaguar or Land Rover Vehicles. 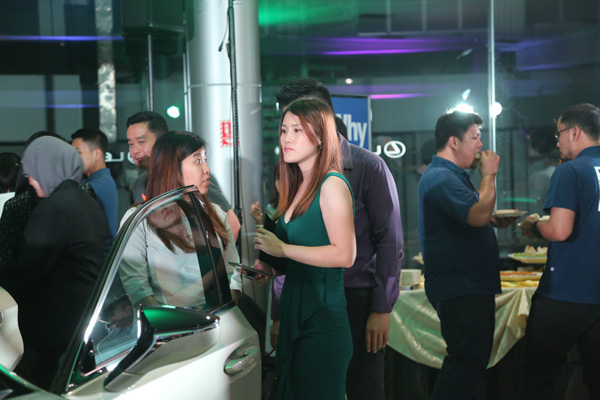 The event’s objective is to create an awareness and gather with their sales team to let customers learn more about Jaguar and Land Rover models. Drove the Mercedes-Benz E200 the other day. Gonna post my experience soon and why this is one hell of a ride!! 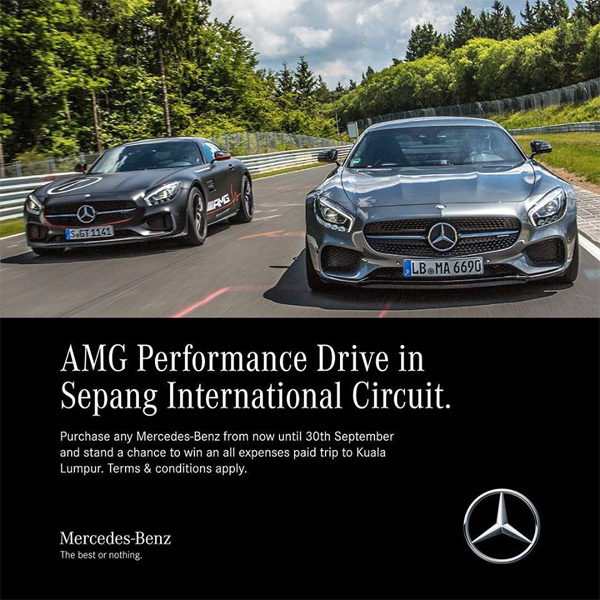 now until 30th Sep 2018, stand a chance to win an all expenses paid trip to participate in the AMG Performance Drive Event in Kuala Lumpur, Malaysia when you book and register any Mercedes-Benz! Only a total of 10 tickets are available to be won. 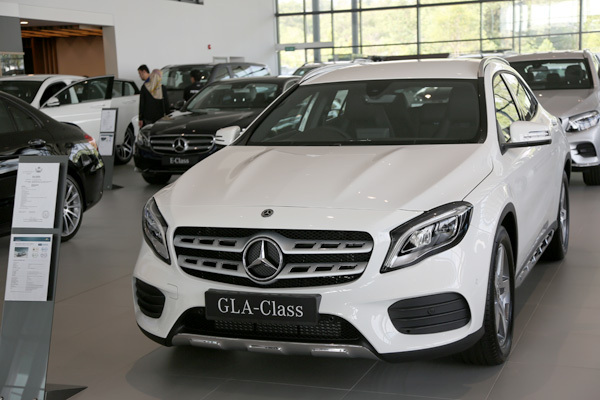 So hurry up and seize the opportunity by giving us a call at 2441763/2441777 or visit Mercedes-Benz Autohaus today! Terms & conditions apply. The annual customer satisfaction studies from international market research institute J.D. Power, which have also been conducted in Germany since 2002, are well respected in the automotive sector. 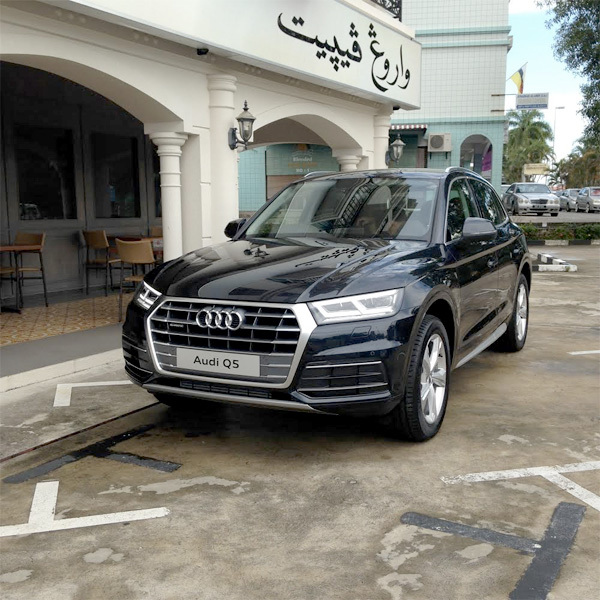 The Audi Q5 won the compact SUV category in the Vehicle Dependability Study, the largest German car driver survey. The team from J. D. Power assessed 66 model lines altogether. Around 15,000 people who have been driving their automobile for around two years were interviewed online on their experiences in the three categories of quality/reliability, attractiveness, and running costs. All the ratings were weighted and incorporated into a ranking which singled out the brand with the lowest frequency of problems as the winner. The prize-giving ceremony was held in Cologne in mid-July. 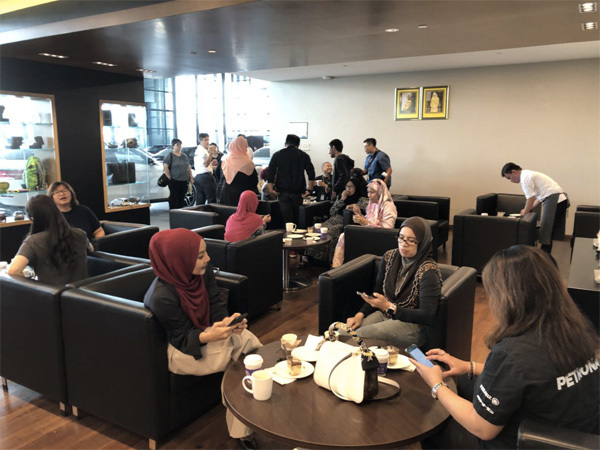 Last weekend, Jati Transport held at a High-Tea and Test Drive event at Mercedes-Benz Autohaus Showroom and it was quite a successful one. 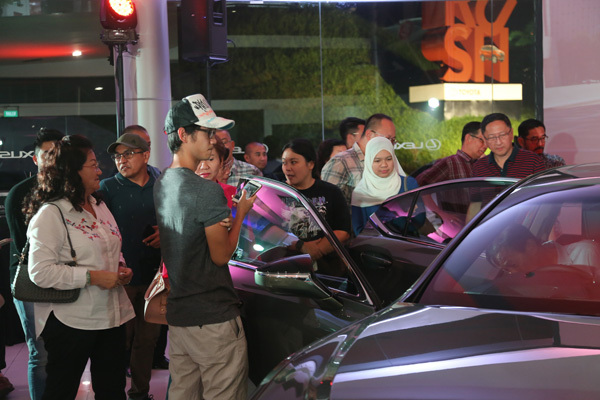 Many turned up and enjoyed the personalised attention given by Mercedes-Benz sale representatives towards their customers. Hi-tea was also served on top of that and they were given the opportunity to test drive some of the Mercedes-Benz models. 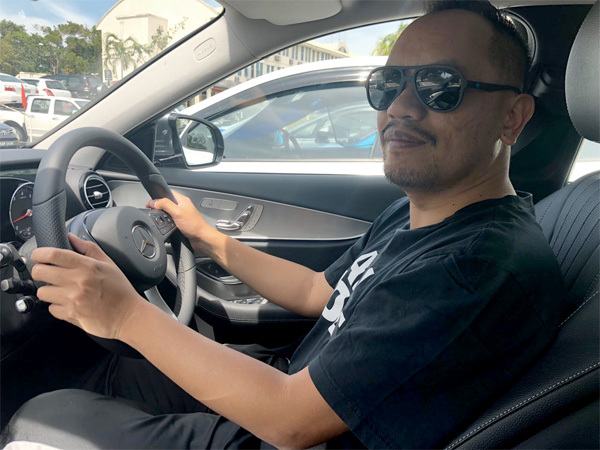 According to Marketing Executive of Jati Transport Sdn Bhd Daniel Loo, there are two models that are going on promotion, the Mercedes-Benz CLA 200 and the C180 where both will be given an extended warranty to four years of unlimited mileage. Awesome deal if you ask me. 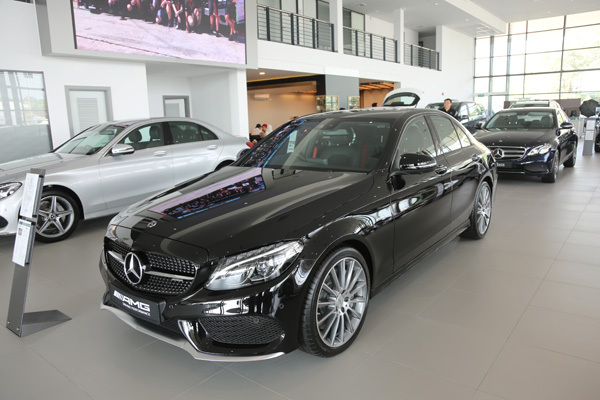 The Mercedes-Benz C43 AMG. Wicked!!! Lexus ES 250 is here!!! Check out the latest ES 250. Click here to read more. The biggest talk town is here!! I have seen various models of the Lexus line and usually the prices are in the slightly premium range. 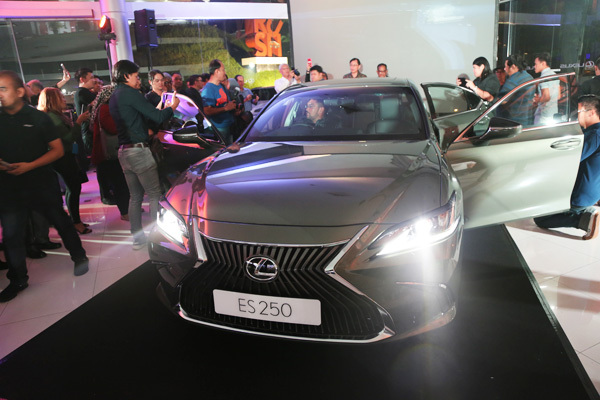 Now I have to say that Lexus Brunei have done an excellent job for future customers of Lexus that the latest edition of the Lexus family, the ES 250, will be a much more affordable than before and furthermore, the new ES 250 is a much better car than the previous ES model. There are so many to brag about. Let’s go..
Beauty – People normally say it’s the inner beauty that counts. 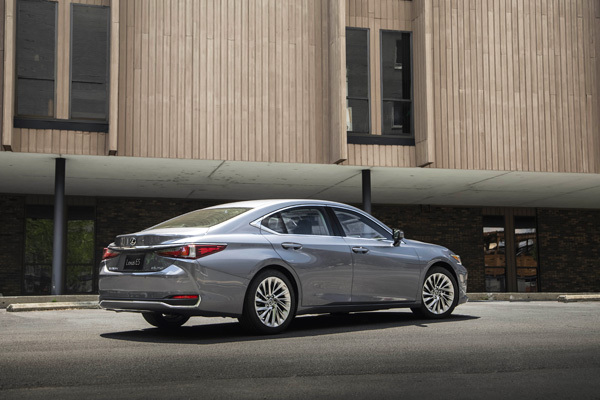 Well, Lexus ES 250 killed two birds with one stone. Both inner and outer look-and-feel are LIT!!!!! 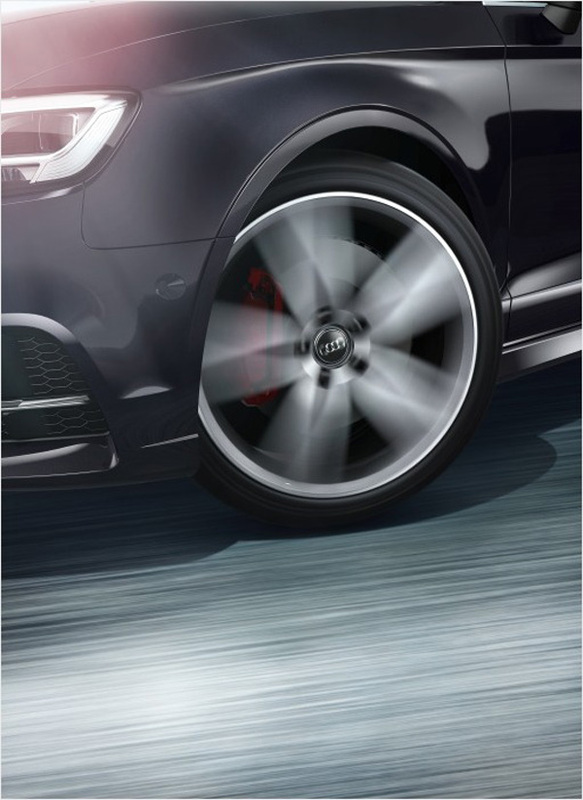 Let’s talk about the exterior – it has a dynamic feel with a bold coupé-like silhouette. It’s wider than previous model and just slightly lower than previous model. Yes, it does look sporty and still elegant to drive. 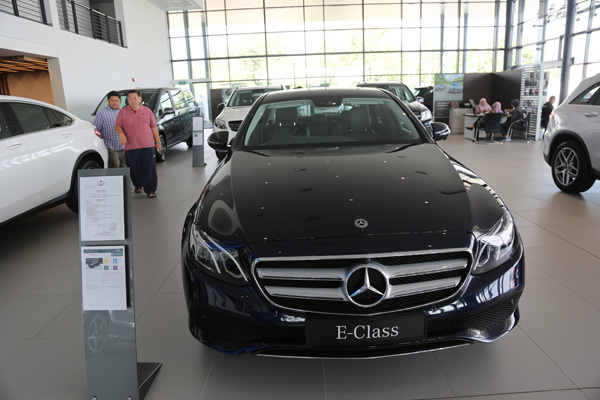 Many commended on the rear view of the ES 250, giving a sleek appeal. I love the new design of the front grill too. People will still recognize the brand and at the same time, they will appreciate the intuitive design. So now’s let talk of the interior. The common word I listened to what the attendees mentioned during the launch was the spacious interior. Believe it or not, I tried myself and wow, it is really spacious though looking from outside doesn’t give that impression. So this could be a winner among customers, the commendable space inside. I also like the idea of the driver-centric cockpit which has become another seller point for decision makers. This is also the first time I’ve seen a trackpad being used for the tech console. Hence you will see a cursor moving around as if you are using a mouse. Impressive. Let’s not forget the sound system built-in, a Pioneer 10-speaker system producing crisp and original sound. 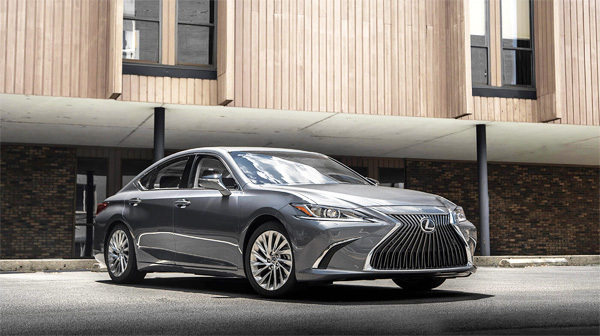 I have yet to test drive the Lexus ES250 but hopefully soon, maybe next weekend and give you more on the update on my experience with the ES 250. For your info, this is also the first Lexus for having a 2.5 liter engine with great fuel efficiency and not compromising on performance. According to the fact sheet, it has an enhanced efficiency with the new 8-speed direct-shift automatic transmission for smarter, sharper gear shifting. 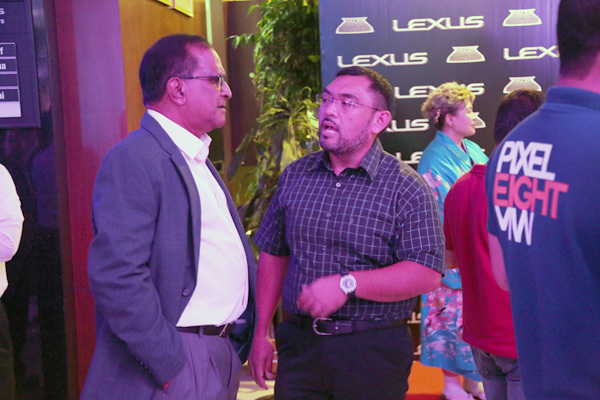 Price: Many are quite shocked when the price was revealed for the Lexus ES250. Many would have thought the price range will be BND 75,000 – BND 85,000 but no, the price of the newly launched Lexus ES 250 is BND 69,450. Now, my friends, if you ask me, that is a great buy for the pricing you paying and the quality a Lexus can offer. 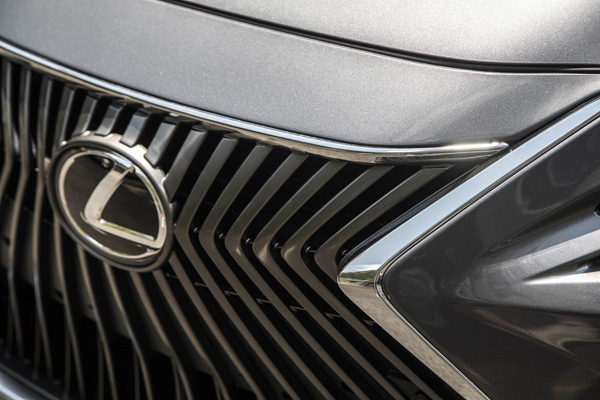 An affordable luxury car and now you be part of the Lexus statistics. You can read here for more. 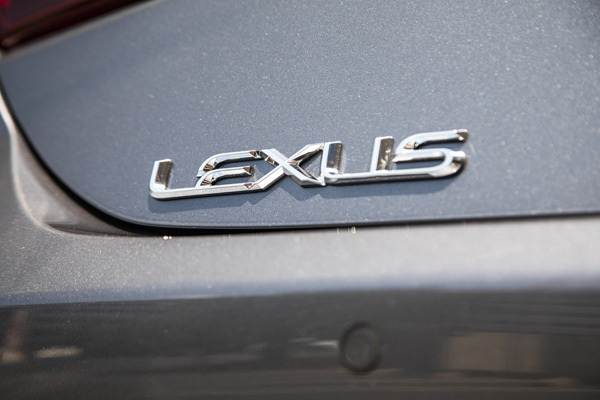 More review of the Lexus ES 250 in my future post. Stay tune. 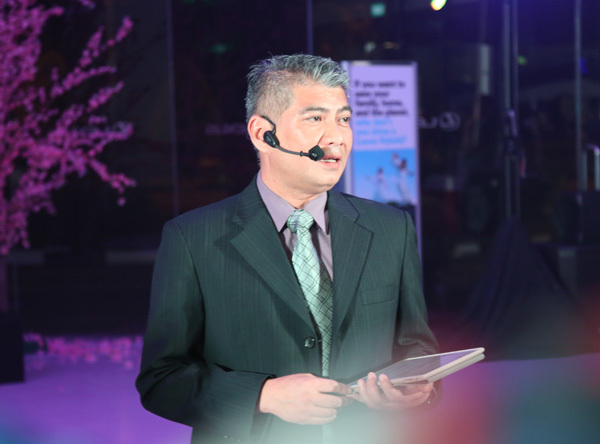 Congratulations NBT Brunei Sdn Bhd on the launch of the Lexus ES 250. Looks sleek, right? Visit Lexus showroom to find out more. 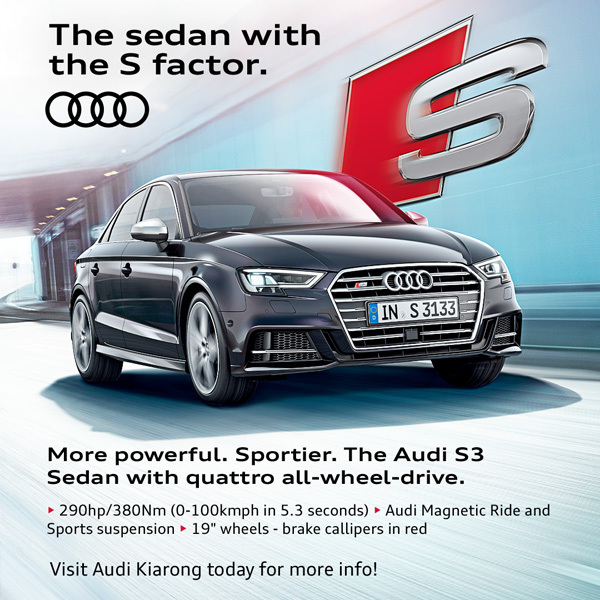 Check out the special promotion by Jati Transport. 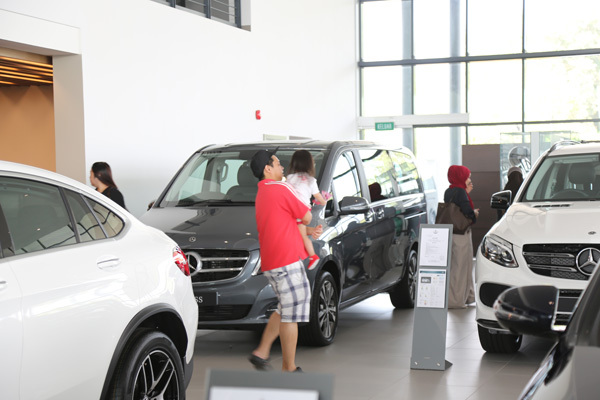 Register and purchase yourself any Mercedes-Benz from now until 30th Sept 2018. 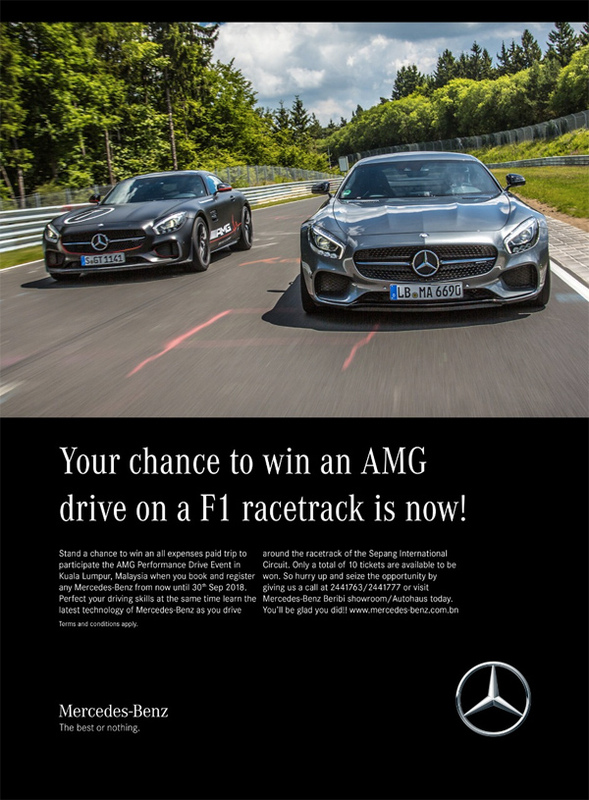 You will stand a chance to win an all expenses paid trip to participate the AMG Performance Drive Even in Kuala Lumpur, Malaysia. 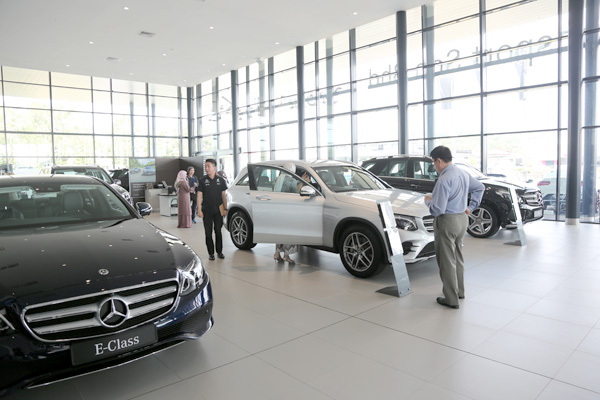 Seize this opportunity and call 244 1763 / 244 1777 or visit their Mercedes-Benz Beribi showroom / Autohaus today.